and the buds are growing on some of the trees. This has not been a typical NC winter! Maybe February will sort it out! February, the month for Hearts! This heart was a part of an old belt. Since the belt was not functional anymore, I recycled it in this piece. Just a little bit of fun! What are you doing creative this weekend??? I recently participated in Vicki of Two Bags Full's Grow Your Blog party. It really was a fabulous party! Congratulations to the winner. And, what beautiful photos. Have a wonderful weekend! What a stunning necklace Terri. its so lovely to see the buds swelling and the bulbs growing... i love the spring! Well, the old belt has a new life in your necklace! It's just so cute and adorable and the colors are happy! You amaze me all the time with your imagination, Terri! Wear the necklace with pride on the 14th! Congats to Linda on winning! She's going to love whatever you are offering, I'm sure. She's a sweetheart! Happy February to you, too. Where did January go? We're getting closer to Spring, that's for sure! 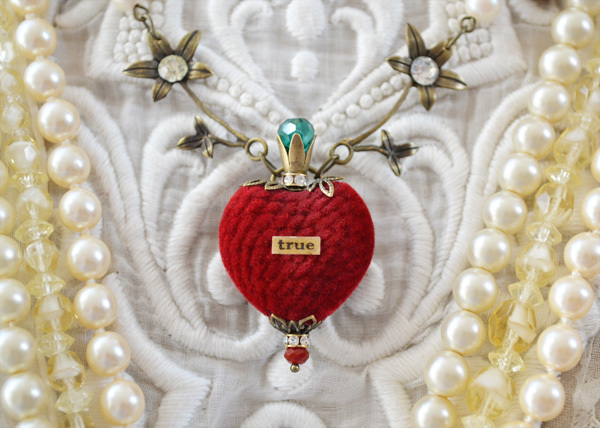 That heart hanging after being recycled is just gorgeous against the white lacey background! Congratulations to dear Linda - she will be absolutely thrilled. Oh, this heart really is fun. Much better than as a belt. Terry, you're so talented. I love everything you make. That is such a cute heart. I'm so glad you found a new home for it. So cheerful! Stunning-- red heart against the white lace and linen. Beautiful! Very versatile even wear with jeans! Lovely!!! Oh Terri, that necklace is too wonderful! oh, that is so pretty! visiting here from Val. Terri, your necklace is gorgeous! I love the colors, they're so fresh and happy, just what we need in the midst of all the snow we've been getting. Love it when people don't through things away, but recycle! The recycled heart is gorgeous. At the moment I'm not doing anything creative, but I'm going to play with my blog header... trying to make a slideshow. Here winter is the same, cold, snow ,ice, rain, wind.... And everywhere you see the signs of spring coming soon!! I love the necklace, I love all about hearts and Valentine is my favorite! Hugs from France! 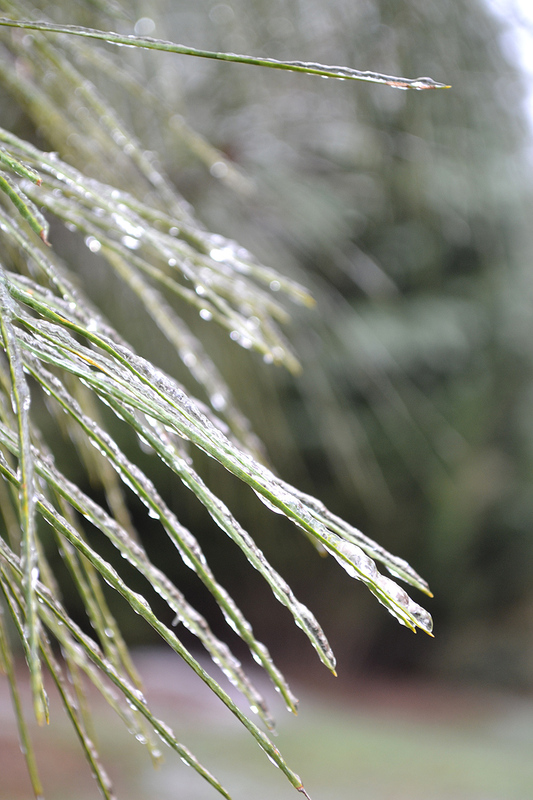 PS The icy tree photo is beautiful too. first of all I am so looking forward to reading the book I won in your giveaway-thank you!!! And oh my, your necklace is breathtaking-I LOVE it!!! You've shown it off so perfectly with the lace and pearl necklaces too. 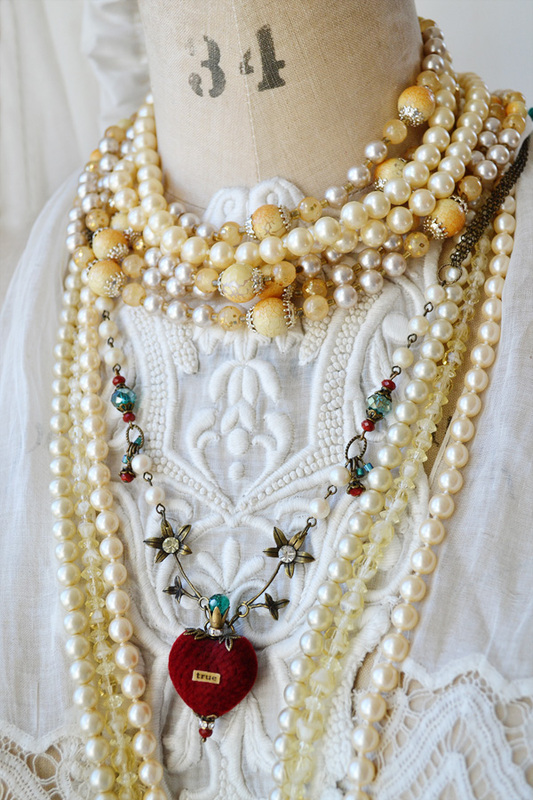 Oh Terri, this is a gorgeous statement piece, truly beautiful! You are so multitalented...I love it, and everything you do! Hi Terry, wonderful to visit your blog..What a great way to meet like minded women..Still working my way thru all the blogs..love your photos and stunning necklace. What a gorgeous Valentine necklace and photographed so beautifully too! Lots of congratulations to Linda! Wowness Terri..that heart necklace is absolutely charming and adorable..full of wonderful energy and spirit..gorgeous creations and pictures as always! Congrats to the winner!